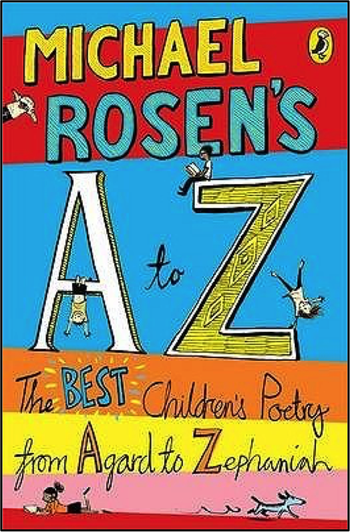 This half term, our class book is "Michael Rosen's A to Z of Poetry". The very best of children's poetry from the very best of children's poets appears in this wonderful and exciting anthology edited by Michael Rosen, the Children's Laureate. We will be reading a selection of poems from this book at the end of each day and have a discussion around it. Each day, we will be discussing a text and developing different reading and comprehension skills. This will help your child understand a wide variety of texts and also help infuse a love of reading. These texts will change roughly every 2 weeks, but may be longer (or shorter) depending on the needs of the children. Your child will be listened to at least once a week by a member of staff. Please continue to listen to your child read each day and sign their reading record. This will help us focus on the teaching of reading skills in class more.